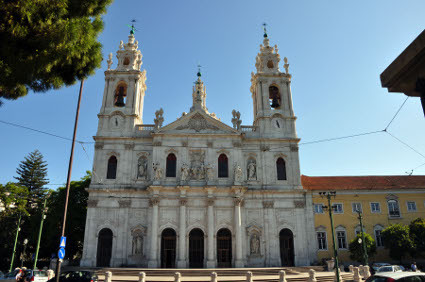 The Basilica da Estrela is an eye-catching Lisbon landmark and monument. Surrounded by other attractions like the Estrela Gardens, the Sao Bento Palace and the museums of Ancient Art and Marionettes, it remains a popular first stop for tourists whenever they visit the city. Once upon a time, after years of being childless, the beautiful Queen Maria I prayed that God would grant her an heir. In return, she vowed to build a basilica dedicated to the saints, to honor her faith. After her son and heir finally arrived, she ordered that the construction begin immediately. Nestled within a pleasant park, this monument to a mother’s love can be seen from nearly anywhere in Lisbon, its rococo dome shining in the sun. 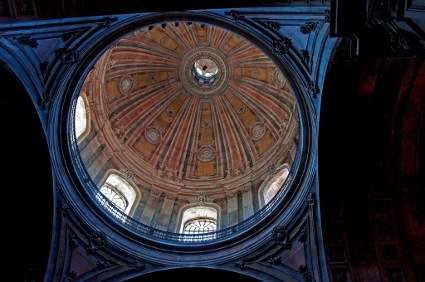 The dome of Basilica da Estrela is open for visitors to visit, offering an impressive view of the city and countryside. Twin bell towers flank the entrance, decorated with beautiful icons of saints and other allegorical figures. The tomb of the Queen lies inside its pink and black marble walls. 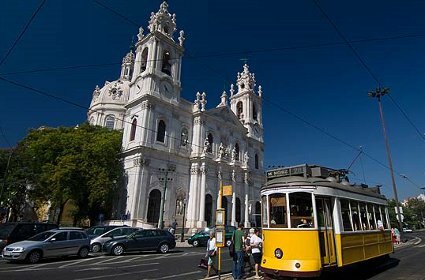 Built between century XVIII and XIX, also known as Bas¡lica do Sagrado Coração de Jesus (Basilica of the Sacred Heart of Jesus), this is one of Lisbon most important 18th century monuments. It is localized right in the middle of Lisbon in a very easy place to go. You need to go inside and see a spectacular range of sculptures with amazing details. You won’t see anything like this in Portugal and probably not in your country also. The interior also features a notable 18th century Nativity scene, carved in cork and terracotta by Machado de Castro. 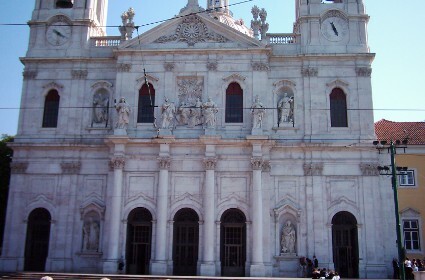 The Baroque style predominates throughout Basilica da Estrela, although the central part of the façade is Neo-classical in inspiration. The most important features are the Baroque statues and the harmonious interior, where marble is used extensively.